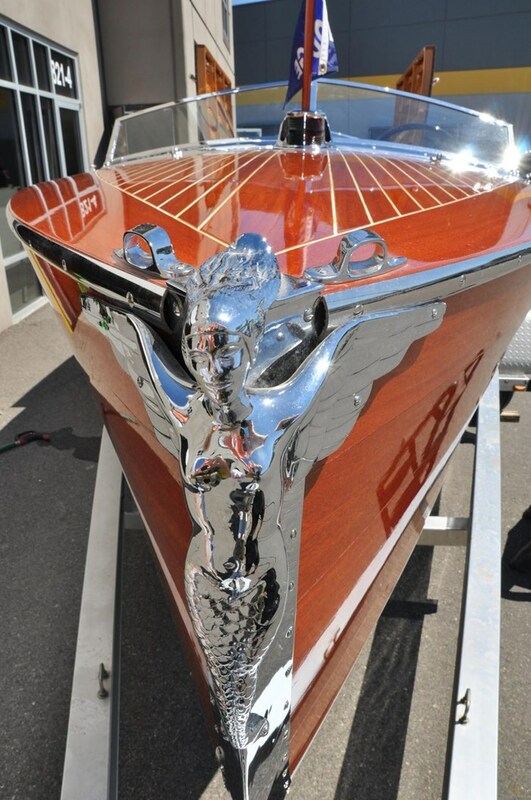 1931 DODGE 21'6" Split Cockpit Runabout - Absolutely stunning restoration recently completed to near concours condition by our Boathouse Bay Classics restorations division. 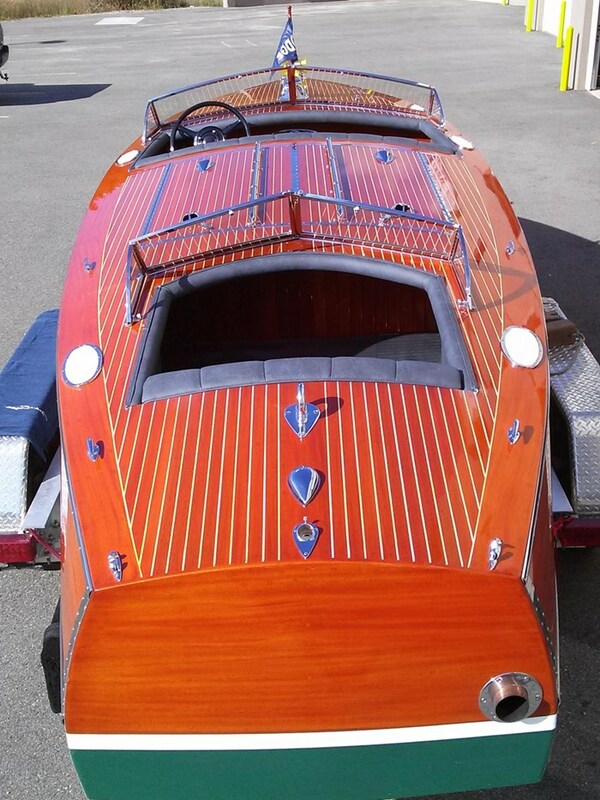 This is one of the most rare and collectible DODGE runabouts made in the early 1930's. The epitomy of luxury of the time period it featured deluxe features such as a Deusenberg Steering Wheel, Cord automobile throttle lever, chrome plated embossed gauge panel and matching gauges, Folding 'V' front windshield and rear wind screen, and a beautiful Art Deco style Mermaid on the Bow of the boat. Our research leads us to believe that Dodge built roughly 90 of this model and fewer than 20 of this model survive - we know of 12 - and of those possibly fewer than 5 have the original Lycoming Straight 8 Flathead engines in them. 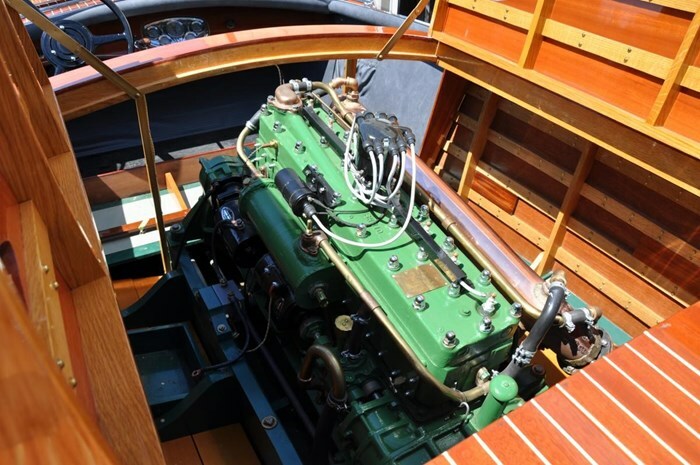 We believe this boat and engine to be mostly original and numbers matching. 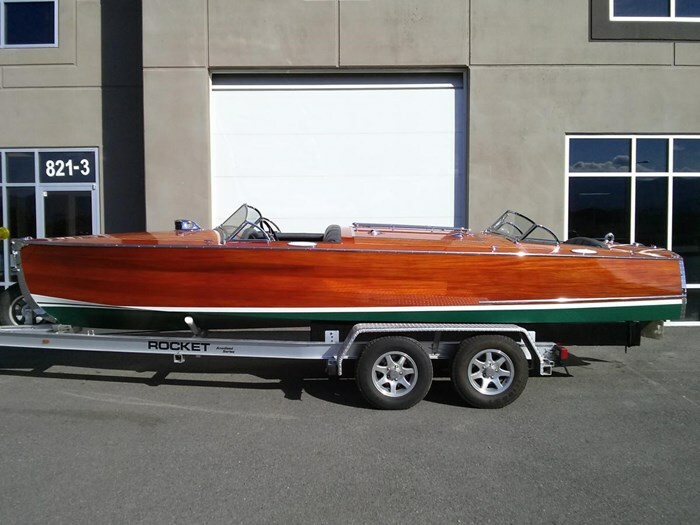 This boat was restored to as original factory specifications with the exception of the bottom which for safety and convenience reasons was done in a West Systems style with multiple layers of marine mahogany plywood. The same method was used on the Hullsides and Deck to give a very solid boat yet retaining the exact look of the original. The custom upholstery is in a high grade marine vinyl matching the color and grain of the original leather. All of the hardware is correct and freshly re-plated. The Gauge panel and Gauges were perfectly restored by Mark at Clawson Classic Instruments and the engine rebuilt by classic marine engine specialist Jim McNeilly in Seattle. Contact us for more information & Pricing on this exceptional boat.